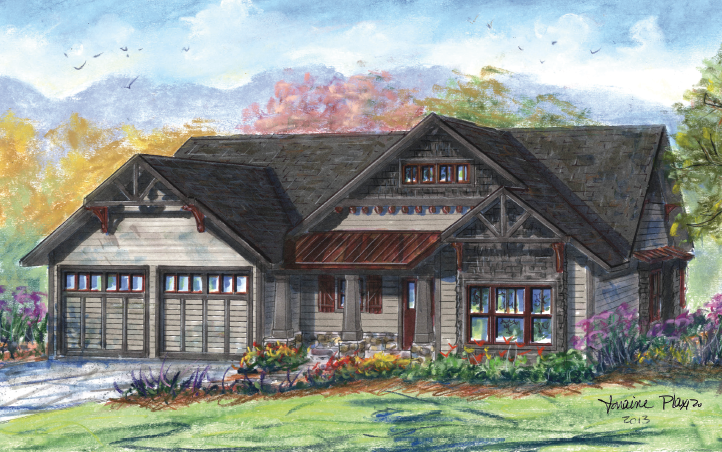 The Alexis is an alternate to our popular Alexandra model that keeps the same main floor plan and finishes, it simply eliminates the upstairs bonus room. It also, is a universally designed home that not only boasts a quaint craftsman architectural feel, but also incredibly energy efficient construction. This floor plan works well for families of all size and ages. Since it has three bedrooms with two full baths on the main level, it works great for families with younger children, but since you can trade the third bedroom for a formal dining room, it works well for the downsizing couple as well. This 3 bedroom/2 bath house boasts a spacious 1896hsf. The foundation can be placed over a crawl, unfinished basement, or finished lower level depending on your needs and desired budget.